For some of us, it’s the Rodney Dangerfield of the Thorens family of turntables. The barely-remembered TD 125 Mk II, though cherished when it was current, rarely figures in audiophile reminiscences, heated bar debates or lists of all-time greats. 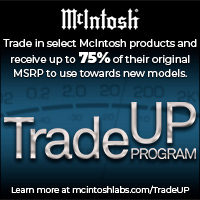 I used one for many years with an SME 3009 arm, and wish I still had it, so I am as guilty as any of dissing this gem. Aah! The glories of hindsight! Despite its status when new, the TD 124 was but one of a number of superlative turntables mortally wounded by the Linn LP12, aka the Sondek. Equally, with the passage of time, it has been overshadowed by its Thorens-made predecessors, both above and below it in price, and by its disproportionately expensive descendants. 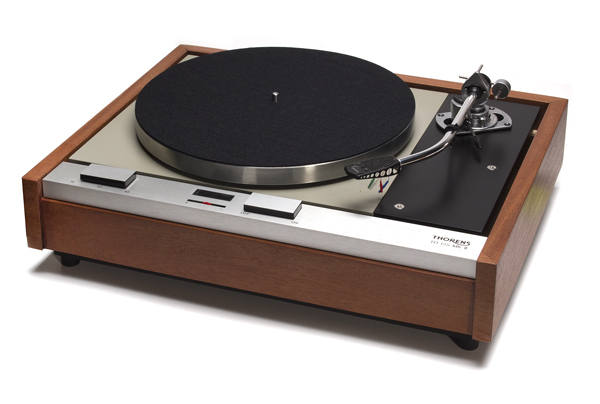 Among collectors, the hot Thorenses include the TD 124 at the top irrespective of one’s audio politics, the TD 150 for realists (and for me, the most important turntable in audio history after the AR Universal), and – for those lucky enough to be filthy rich and tenacious – the later Reference and Prestige behemoths. All are superlative decks, but the TD 125 just may be the most balanced, the sanest compromise, and the easiest with which to live. Born in 1968, the Thorens TD-125 (Mk I, of course) directly followed what most enthusiasts would rightly nominate as the Swiss/German firm’s single greatest achievement: the TD 124, rather than the similar TD 150 of 1965. Appropriately, a perfectly-restored, serviced and installed TD 124 will, as of 2013, still give most record spinners a run for their money. However, only the most deluded apologist would argue that this idler-drive/belt-drive hybrid is either as quiet as, or as dynamic as the pure belt-drives that followed the TD 124 – let alone the “budget model” TD 150 that sold alongside it. And that includes the TD 125. According to Gerhard Weichler’s Thorens: the Fascination of a Living Legend (2006), the TD-125 was born of a number of causes, a perfect storm demanding a new flagship model. Thorens was moving factories from Switzerland to Germany, the TD 124 was nearing the end of its life as a viable product after some 100,000 had been made, and the latest stereo cartridges demanded greater refinement. The TD 124 was most assuredly a child of the monophonic 1950s and its time had surely come. Not unaware of the phenomenal success of Edgar Villchur’s $68 AR turntable of 1961 (and regardless of its almost laughable price advantage over any import), Thorens introduced the TD 150 in 1965. 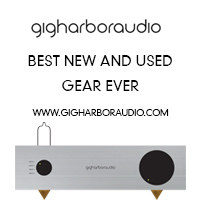 It was, for all intents and purposes, a better-built AR, with the added appeal of accommodating a choice of tonearms. The TD 150 is the direct link between the AR and the Ariston RD11, which became the Linn LP12, and I’ve heard them outperform the much costlier TD 124. But that’s another tale. At this stage, it’s worth informing you of the three turntables’ original prices. The only contemporary guide I have showing all three – TDs 124, 150 and 125 – is the 1970 Hi-Fi Yearbook, published in the UK. I believe that the pound (£) of 1970 was exchanged at around $4=£1, so convert if you must, but the point of this illustration is to indicate where each turntable fit into Thorens’ range. In this guide, with prices including taxes and rounded to whole pounds, and without tonearms, the TD 124 retailed for £45, the TD 150 sold for £30 and the then-new TD 125 cost a heady £70. That should make you want to hop in a time machine, because £70 some 43 years ago was equal to only £900-£1000 in today’s money. And that’s only US $1500 in 2013 smackers…. Because the TD 150 was an entry-level turntable, and the moneymaking flagship TD 124 was on its way out, a more substantial belt-drive – call it a TD 150 on steroids – was an obvious solution. 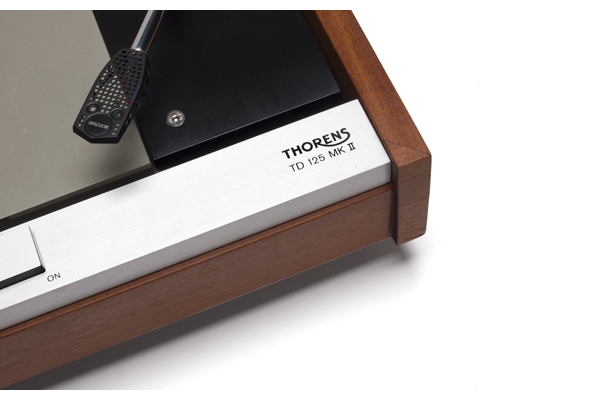 Moreover, given the rapid growth of solid-state technology in the 1960s, Thorens was inspired to add to the TD 125 something not applied to the TD 150: electronic speed control. It truly was a beefed-up TD 150, based on the same topology of a small motor driving a pulley and belt beneath the platter, a basic plinth, a full-length armboard, controls at the front, available with or without factory-fitted arm. The electronic speed adjustment upped the controls count, so it featured, in addition to on/off and speed adjustment of +/- 2%, aided by illuminated strobe visible through a window at the front. Speed control was accomplished with a linear potentiometer, and an AC generator with the frequency controlled by a Wien-bridge oscillator. Despite the addition of electronic speed control – another slider controlled the cueing lift/lower if the turntable had the factory-fitted TP 25 tonearm – the deck was still a simple, classic three-speed design. Three-point suspended subchassis, uncluttered undersides, a removable full-length arm-board that presaged that of the LP12 (and which could even accommodate a Rabco parallel tracking arm), the TD 125 was inescapably the direct link between the TD 150 and the LP12. Thorens did improve on the TD 150 with the TD 125 in a number of other areas, not least thanks to greater mass and more robust construction. Isolation of the various elements was superior, while the switching of power on/off and speed changes were achieved electronically rather than mechanically as on the earlier models. The two-section platter consisted of the 12in section fitted over the smaller subplatter around which the belt was positioned. 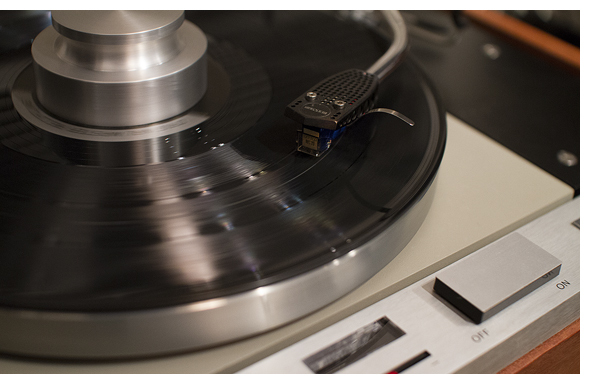 The mat was a sculpted rubber affair that, in the post-Linn era, most users replaced with something offering better contact between LP and platter, such as simple felt. As for its basic construction, the TD 125 employed a cast aluminium top section that supported the main bearing, platter, and armboard. The motor, the electronics, and the lamp to illuminate the strobe were fitted to a pressed steel panel that formed part of the plinth. Rubber washers ensured no metal-to-metal contact. The TD 125 was visibly distinguished from the TD 150 not merely by larger size, but by the aluminium strip that ran across its front, containing the rectangular controls, with a black main top surface, in contrast to the TD 150’s predominantly metal top plate. As for the suspension, it consisted of three conical springs in adjustable cups. For disco use – yes, over 40 years ago – the TD 125 could be converted with rubber damping spheres in place of the floppier springs. A properly set-up TD 125 is fairly floppy, but not comically so, but the added rigidity for club use was advisable. By the time the TD 125 was replaced in 1976 by the more sophisticated TD 126, it had achieved Mk II status, thanks to changes in factory tonearms from TP 25 to TP 16, refinements to the electronics and other detail improvements. The TD 126 was much more complex, and possibly less successful because, by 1977, the Linn hegemony was in full swing. 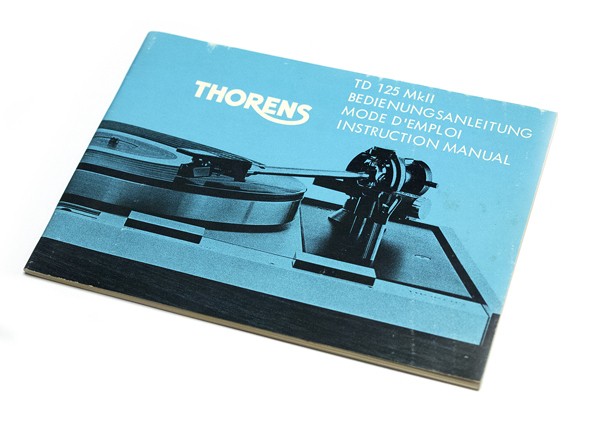 How many TD 125s in all forms were produced, though, is hard to determine, but it should be noted that, in 1975, along with the TD 160, Thorens manufactured 500,000 turntables. Yes, a half-million. The good news is that TD 125s are plentiful. 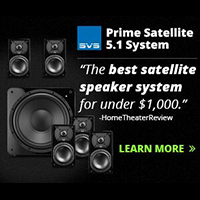 I see them frequently, in great shape, for prices in the $200-$600, but perfection means spending around $900-$1000. 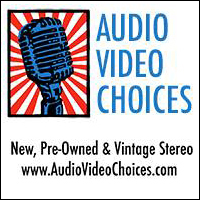 I love it with the SME 3009, and had a blast with the Infinity Black Widow, but it’s also a perfect playground for Grace and Audio-Technica arms of the period. What you get for your money is a turntable with evocative 1960s styling, excellent isolation from footfalls, generous space to accept most 9in arms, and – above all – a sound that settles nicely between the romantic and the hygienic.